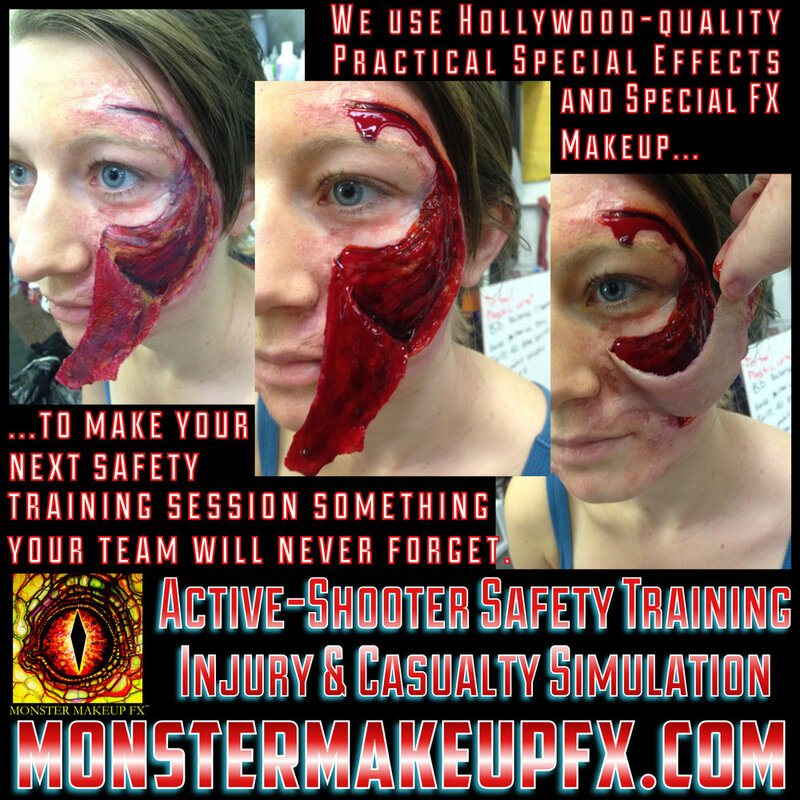 Monster Makeup FX provides practical special FX and special effects makeup for films, TV, and media! Here's just a taste of our bloodiest work that we've done in the last few years! Monster Makeup FX creates pneumatic squibs and bullet-hits for movies, TV shows, and other projects; here's just a small collection of our favorite pneumatic blood FX and pneumatic bullet-hit, or squib, effects for The Best Defense on the Outdoor Channel and other projects. Monster Makeup FX Lead Makeup Artist "Monster" Midian Crosby is seen here during the filming of the concept trailer for "Lock the Door". This particular rig allowed the fingers to be severed and then reattached to allow for several takes during filming. The gruesome aftermath of a young man getting his throat cut by an assassin in 'FINAL FOUR'- a story focusing on "Z," a hit-woman with a near perfect March Madness bracket. 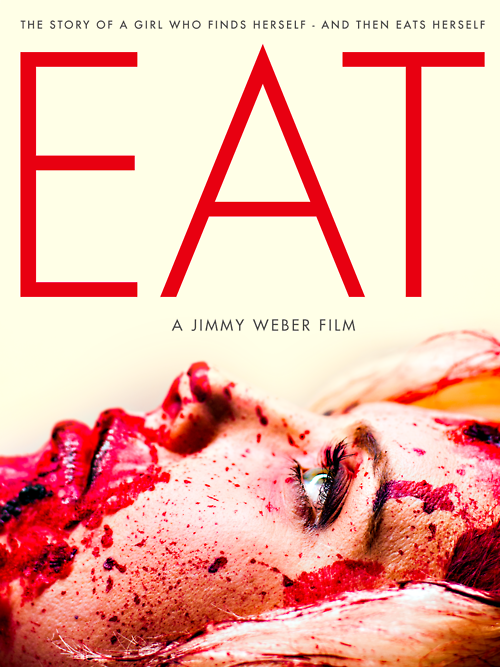 It's a Dark Comedy that focuses on fanaticism in sports and the insanity it brings out in people. Behind-the-scenes testing of a special effects beating heart and breathing lungs puppet rig built by Monster Makeup FX for the movie 'Paramedics' (2016, TomCat Films). Straight up one of our favorite in-studio practical special effects pneumatic squib tests EVER!. Absolutely gore-geous! 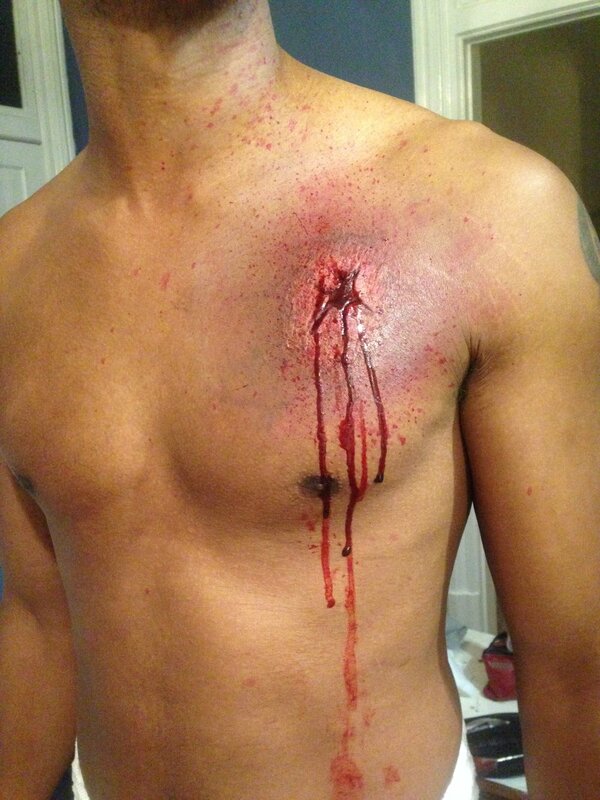 Monster Makeup FX on-set pneumatic bullet-hits (or squibs) for "Assassin's Code". A quick pneumatic-driven exploding head special FX rig built by Monster Makeup FX™ Technician Joshua Adams and Lead FX Artist "Monster" Midian Crosby and fired for filming of 'MOTEL LONDON 2' from BloodShed DeathBath Productions. Monster Makeup FX simulates the aftermath of a gruesome exploding head with this on-location blast from one of our air-powered special-effects blood cannons for MOTEL LONDON 2 from Bloodshed Deathbath Productions! 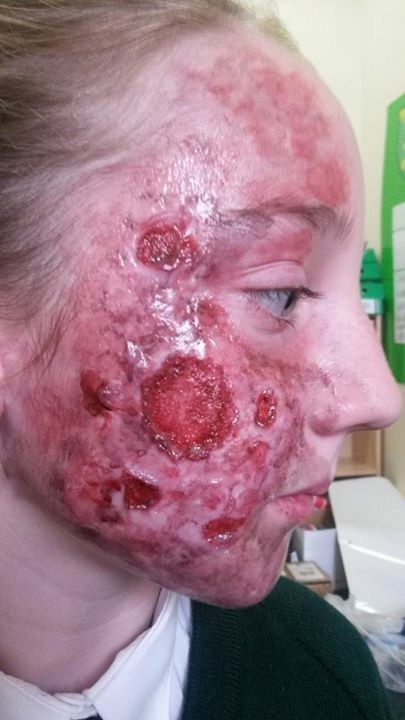 Monster Makeup FX created an abscess using silicone and artificial pus for a Cine-Med AORN training video in Lone Tree, Colorado. 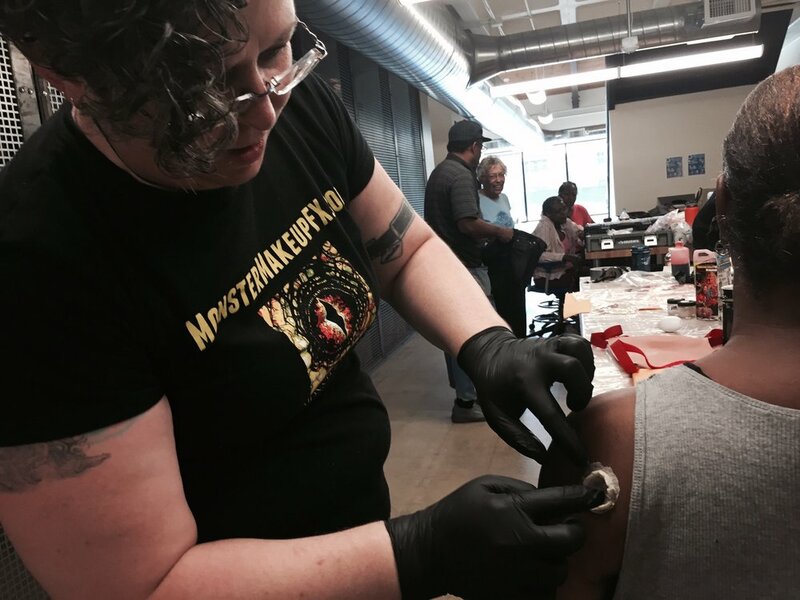 Monster Makeup FX Lead Special Effects Makeup Artist and CEO, "Monster" Midian Crosby, shows our 2017 Intensive Special FX Makeup Portfolio Enhancement Class how to create a bloody-good zombie special effects makeup using a variety of pro special effects makeup materials and techniques!